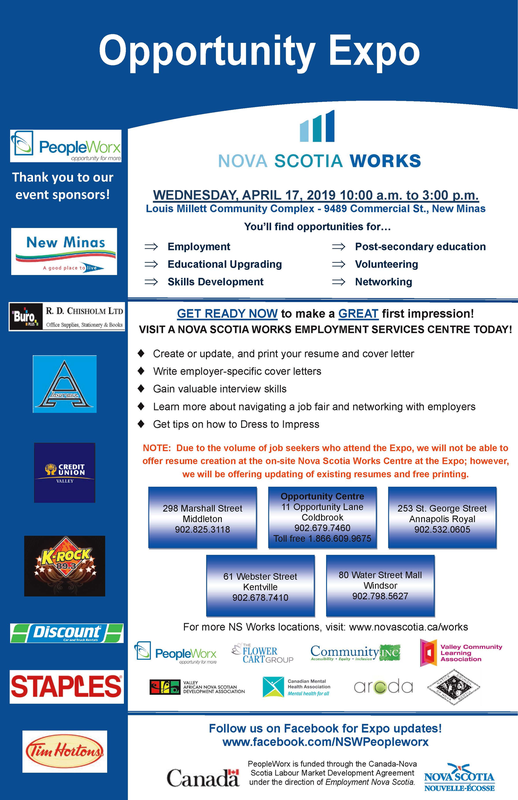 In partnership with the Village of New Minas, K-Rock, Nova Scotia Works and PeopleWorx are hosting the 2019 Opportunity Expo. 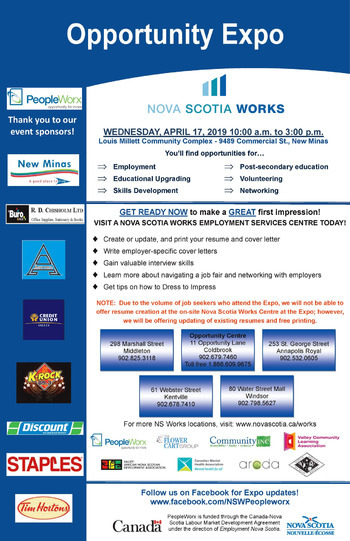 The 2019 Opportunity Expo is funded in part by the Province of Nova Scotia, with sponsorship provided by R.D Chisholm’s, Allied Insurance and Valley Credit Union. • Local employers who are actively recruiting NOW in healthcare, food services, retail, transportation, construction, and production. • Training institutes providing information and resources regarding options for upgrading and training. • Funders - Explore opportunities to access funding for training, self-employment, and wage subsidies.